Republican presidential candidate former Massachusetts Gov. Mitt Romney and his running mate Rep. Paul Ryan, R-Wis., wave to supporters during a rally in Fishersville, Va., Oct. 4. FISHERSVILLE, Va. – Capitalizing on momentum from Wednesday night's debate, Mitt Romney and Paul Ryan whipped up their base here in rural Virginia with a raucous rally complete with fireworks, live music and pointed new attack lines aimed at their Democratic opponents. "I got the chance to ask the president questions that people across the country have wanted to ask him, such as why is it that he pushed Obamacare at a time when we had 23 million people out of work? I asked why is it that the middle class is still buried in this country – why is it we have 23 million people out of work?" Romney said, ticking off several more debate topics. "I asked him those questions and you – you heard his answers." Romney wove highlights from the debate into his traditional stump speech, revisiting the showdown that was watched by 62 million Americans. "What you didn't hear last night from the president is why it is the next four years are possibly going to be better than the last four years. He doesn't have a way to explain that, because he has the same policies for the next four years as he had for the last four years," Romney said. "He said go forward. I call it forewarned, all right?" Ryan also weighed in on the debate for the first time, predictably praising the man at the top of the GOP ticket. Thursday's event showed a tilt back toward the Republican base. Country music star Trace Adkins warmed up the crowd with a 30-minute set, and the National Rifle Association officially bestowed its endorsement of the Romney/Ryan ticket. In the final push in the 2012 presidential election, candidates Mitt Romney and Barack Obama make their last appeals to voters. With the first presidential debate out of the way, the focus turns to the vice presidential debate next Tuesday in Kentucky. 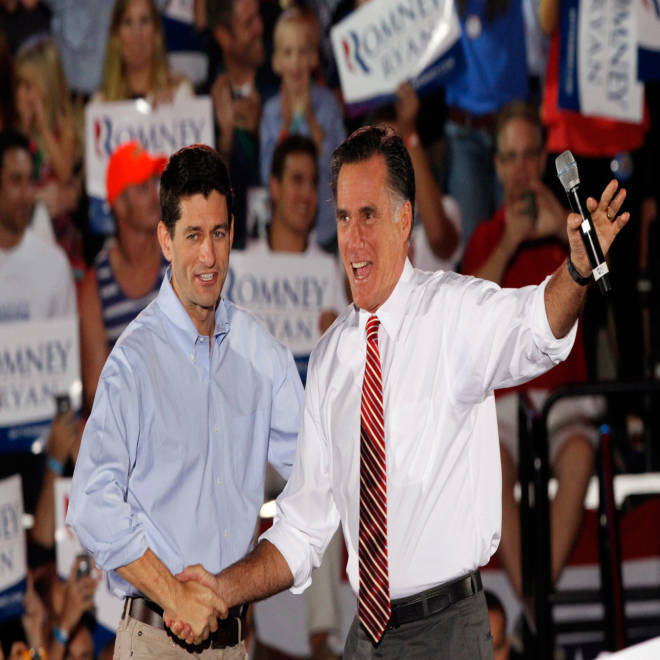 On Thursday, Romney and Ryan pounced on the vice president's statement earlier in the day that Democrats aimed to repeal the so-called Bush tax cuts for the wealthiest Americans. Democrats cried foul at that and other comments by Romney touting his own tax plan and accusing the President of trying to raise taxes on middle class Americans. 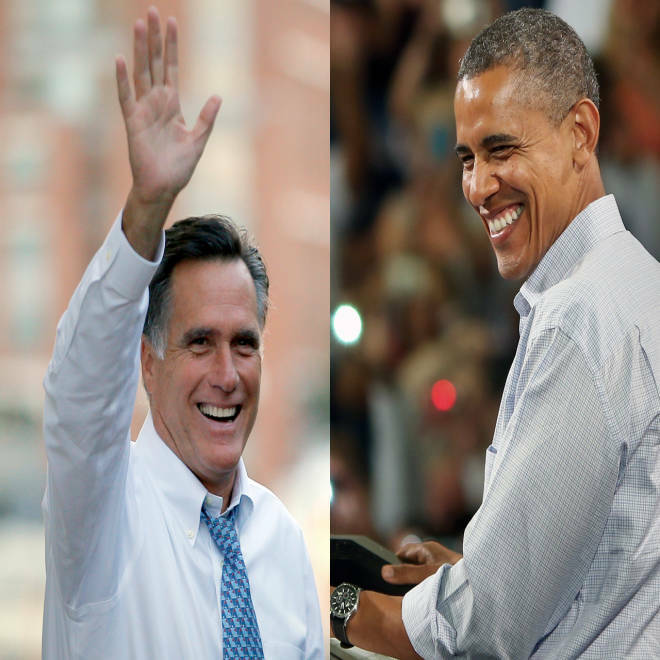 "Clearly, Mitt Romney thinks facts don’t matter – but the hard-working Americans who he’d punish with his policies do,” said Obama campaign spokesperson Lis Smith, who accused Romney of a "streak of dishonesty." As the weekend approaches, Romney continues to campaign in Virginia before heading to the battleground state of Florida, while Ryan continues to prep for the debate and raise money for the GOP ticket.